In the past we have seen company’s launch some of their flagship devices exclusively for either certain regions or in the case of the HTC’s launch of the Butterfly J exclusively in Japan, the trend has started creeping in other OEM’s as well. Well apparently Samsung is the latest entry to follow in the footsteps of Sony and HTC to come up with their very own Galaxy J initially catered especially for the Japanese market but has also been officially released in Taiwan today. 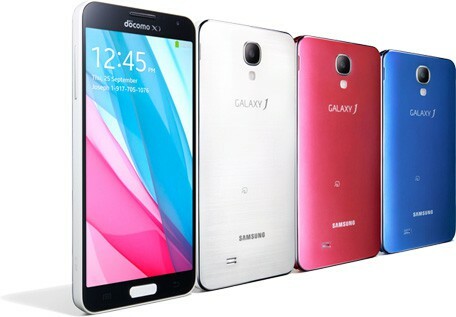 The powerful device is a mixed breed of the GALAXY S4 and the GALAXY Note 3 sporting the powerful Qualcomm Snapdragon 800 processor similar to the one found in the Note 3 and comes engulfed in a nice aluminum body giving the Galaxy J an actual premium touch. 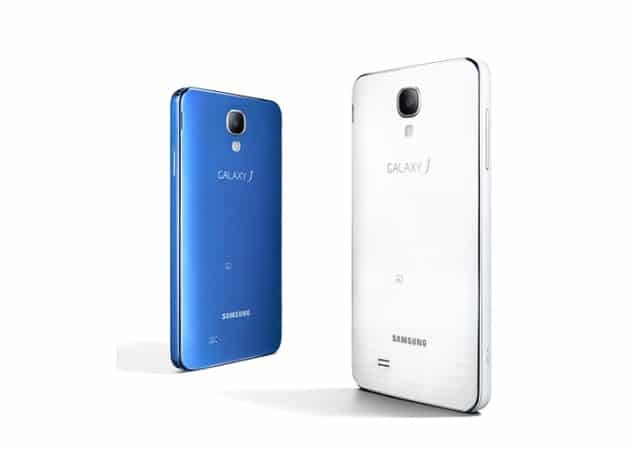 The 5-inch Galaxy J comes packed with a Full HD Super AMOLED Display found on the Galaxy S4 along with with 3GB RAM, 32GB of built in storage (expandable upto 64GB using an external SD card), a 2600 mAh battery and just as the Note 3, the Galaxy J also comes with Android 4.3 Jelly Bean out of the box. The powerful device is currently available in three color variants namely white, blue and pink. As far as the Galaxy J’s international launch is concerned, we currently do not have any official confirmations but it is most likely possible for Samsung to launch it in other countries in the upcoming months. By the looks of things, the Galaxy J is quite a power packed little monster that promises to give its siblings the Galaxy S4 and the Note 3 the run for their money if someone wants to have a little bit of both the devices but eventually has to settle down with having just one. The Galaxy J is now available in Taiwan for a retail price of 21,900 New Taiwan dollars (around $740), with the white version to go on sale from December 13th and a pink option is expected to arrive January 2014. For those of you who are interested in buying and are currently residing in Taiwan (and of-course Japan) can start adding the Galaxy J to their Christmas shopping list right away. Cheers ! Is the next Android after Kitkat Ladoo?